USMNT coach Jürgen Klinsmann has once again sung the praises of young Borussia Dortmund starlet Christian Pulisic. Pulisic is Dortmund's sixth-highest points scorer in Official Fantasy Bundesliga - sign him up now! Klinsmann, a former FC Bayern München player and coach, has been at the helm of the USMNT since July 2011 and is currently working with his squad as they prepare for two crucial FIFA World Cup 2018 qualifying matches against Mexico and Costa Rica. In an interview with fifa.com, the 52-year-old responded to a question asking if Pulisic was the 'American Messi' by saying: "He's certainly got absolutely unlimited potential. I've always said you have to make your own destiny, and he's doing exactly that. In America it's the exception rather than the rule to have a player who's so well developed at that age, but in Europe they live by the maxim 'if you're good enough, you're old enough'. "He's taken his fate in his own hands, " Klinsmann continued. 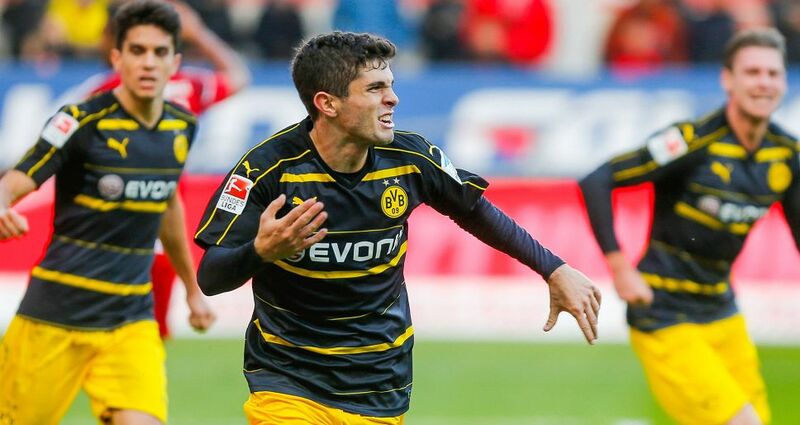 "Pulisic is exactly the kind of puzzle piece we were hoping for this year. On top of that, he's a wonderful example for other young players of what's required to play at the very top and to prove yourself there." Pulisic, who only turned 18 in September, burst onto the scene at the start of the year after impressing Dortmund coach Thomas Tuchel in training. He was included in the first-team squad's winter training camp in Dubai and made his Bundesliga debut on Matchday 19 on 31 January. He has smashed a host of records since then, including becoming the youngest foreign-born player to score a goal in the German top flight, and has scored twice and provided four assists in the league so far this season.